The capital and largest city of the Zhejiang province, the beautiful city of Hangzhou is located at the head of Hangzhou Bay on the coast of Eastern China. Formerly spelled Hangchow, it has been a famous and prosperous city since ancient times. This city enjoys a subtropical monsoon climate, and this has blessed Hangzhou with breathtaking scenery throughout the year. There is an ancient Chinese proverb that states, ‘Be born in Suzhou, live in Hangzhou, eat in Guangzhou, die in Liuzhou‘. The city of Hangzhou has always been appreciated for its phenomenal panoramic views, as well as its famous historical and cultural sites. Visitors will enjoy taking a stroll along the causeway by the West Lake, or a ride on a boat to explore the ancient houses, relics and stone bridges along the Qiantang River. 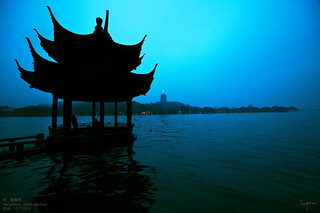 Hangzhou prefecture is home to more than 8.7 million people according to the 2010 Chinese census. Visitors will enjoy shopping at the numerous boutiques that sell Hangzhou silk, the city’s world-famous silk that traces its history back over 5,000 years. Hangzhou is also the birthplace of Dragon Tea, a pan-roasted green tea that has been around for over 1,200 years. 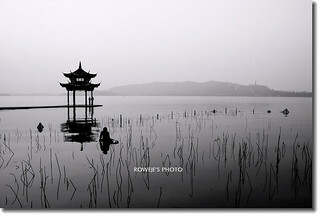 West Lake was named during the Sui Dynasty (581-618) and it has been a source of inspiration for many poets and emperors over the centuries. A tranquil destination surrounded by forested hills; it measures 15 kilometers in circumference and has an average depth of 1.8 meters. West Lake offers astonishing sights like the Three Pools Mirroring the Moon, where on the night of a full moon visitors can witness the illusion of several moons on the still waters. Visitors can enjoy watching the fish in the Flower Harbor, Evening Bell at Nanping Mountain, sunset over Leifen Pagoda, a stroll through “Orioles Singing in the Willows” (Liulang Wenying) park, sunrise on the Su Causeway, or just watching the “Lotus in the Breeze at the Winding Courtyard” (Qu Yuan Feng He). The best way to admire this beautiful area is by taking a leisurely stroll under the canopy of trees lining the walkways. Optionally, you can hire a bike and ride over the ancient arched bridge to explore the shores of the lake on one of the best bicycle tracks in this city. For those who prefer a less physical excursion, there are a number of boats waiting to take you on a tour. A national hero, Yue Fei (1103-1142) joined the Southern Song army when he was just 19 years old. An exceptional soldier, he proved his worth and became a general at a young age, but his career was marred by injustice and he was executed. His tomb and shrine was built on the southern foot of the Qixia Hill close to the West Lake. A must see for visitors, the beautiful temple has been destroyed and rebuilt several times during its nearly thousand-year history, with the most recent incarnation built in 1715 during the Qing Dynasty, with major repairs undertaken in 1979. As you walk into the main hall, you will come face to face with the magnificent sculpture of General Yue, a towering personality with a sword in his hand, ready to go to battle. Walk behind this serene temple and admire the beautiful pictures that depict his life and on the floor of the hall, notice the unique picture of 373 cranes, this is a symbol of his faithfulness and integrity to his motherland. Hangzhou’s Grand Canal is the longest, and one of the oldest, canal in the world and is a UNESCO World Heritage site. This architectural marvel dates back to the 5th century, with the Hangzhou leg the final stop after winding its way on a nearly 1,800 km journey from Beijing. Though earlier canals existed in the region, the Grand Canal was initially built during the Sui Dynasty (518-618) by the emperor Yang Guang, and was continually expanded upon until during the Yuan Dynasty (1271–1368) it finally linked Hangzhou in the south to Beijing, the Mongol capital in the north. A boat ride is the best way to enjoy the atmosphere on the Grand Canal, visitors can get a peek into its historic past, stopping along the way and enjoy the local cuisine while admiring the scenery with a backdrop of ancient houses and historical relics. These three miniature stone pagodas were built over 800 years ago near an island in West Lake. 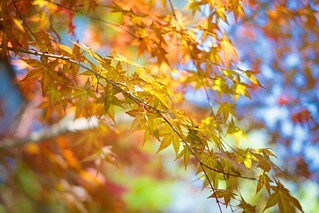 A special spot each full moon night, it is especially revered during Mid-Autumn Festival. The hollow stone pagodas have five round holes resembling windows on the top and bottom and on the full moon night a candle is lit inside each of the pagodas. As the moon reaches an angle where its light shines through the windows of the pagodas, it appears that there are three moons on the still waters. 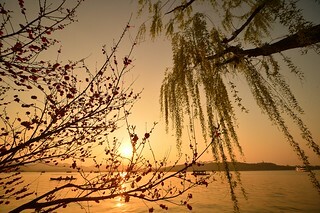 A visit to Hangzhou is incomplete without visiting this serene spot. The Song Dynasty Village is a theme park that takes a visitor to a forgotten era. 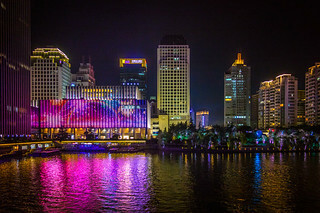 You will get to see what Hangzhou was like during the Southern Song Dynasty (1127-1279), meeting horsemen and soldiers dressed in historic clothes; witnessing blacksmiths, craftsmen and carpenters creating artifacts in their shops; and watching an enchanting historical performance in an open air theatre. Covering 10 hectares, this village has regular performances by acrobats, Wushu martial arts and shadow boxers. The theater has a seating capacity of 3,000 and features a spectacular show that highlights Chinese history. Be prepared to be entertained as you witness battle scenes, courts during the Song Dynasty, the soul-stirring ancient Zhejiang music, along with modern concerts as well. The Hangzhou area is an important silk producing region in China and it is often called the ‘Home of Silk’ as it produces over 1,000 different varieties of silks and satin. The National Silk Museum traces its history from the Tang Dynasty (618-907), visitors can buy beautiful silk material at Silk City, this market offers standardized silks that are a reasonable price. You can take buses 11 and 28 to 253 Xinhua Road. Another important shop in Hangzhou is Wangxingji Fan Store, which was originally opened in 1875 and continues the ancient tradition of fan-making to this day. Visitors will be amazed at the array of hand-held folding fans that are produced here, including black paper fans, white paper fans, silk fans, sandalwood fans and dancing fans. Visitors shouldn’t miss West Lake Longjing tea, a distinct jade green coloured tea with bird tongue-shaped leaves and a pleasant fragrance and taste. Other interesting handicrafts are Zhang Xiaoquan scissors, Qingtian stone carvings, and Ningbo wood ware inlaid with bone. The cuisine in Hangzhou is elaborate and delightful in appearance. The two types of cuisines are the Ningbo and Shaoxing. Ningbo cuisine specializes in roasted, steamed and braised seafood, while the Shaoxing cuisine has delicious poultry cooked in gravy. Visitors will enjoy the Beggar’s Chicken, this is a whole chicken that is coated with clay and cooked to perfection! Other specialties include the West Lake fish in vinegar sauce, Dongpo pork, fried shrimp with Longjing tea, Cat’s Ear noodles and Songsao fish soup. The Hangzhou Xiaoshan International Airport (HGH) is just 27 kilometers from the city center of Hangzhou. This airport attracts about 193 flights that connects Hangzhou to local and international destinations around the world; including Singapore, Tokyo, Bangkok and Paris. There are shuttle buses and taxis from the airport to take you to your destination. The East Railway station and Hangzhou Railway Station are the city’s two stations, connecting Hangzhou to over 30 major cities in China. The ticket office at these stations allows 18-day advanced ticket purchase. 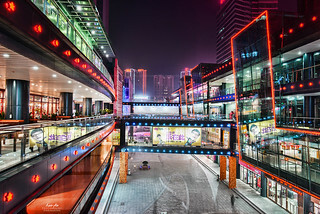 With five bus stations in Hangzhou, including the Passenger Transport Central Station (Jiubao Passenger Transport), visitors are well connected to major cities in China. The Hangzhou Tourist Center runs buses between nearby attractions and other main tourist cities. The highway network is convenient and leads to Qingdao in Shandong Province on the north, Shenzhen in Guangdong Province to the south, Zhoushan in the east and Yichang in Hubei Province to the west. Tickets are available at the bus stations. The subway of Hangzhou will in the future consist of 10 lines running a length of about 375.6 kilometers. Currently Line 1 and Line 2 are functioning with a part of Line 4 open for the public. See the Urban Rail entry or Hangzhou Metro site (Chinese) for more information. 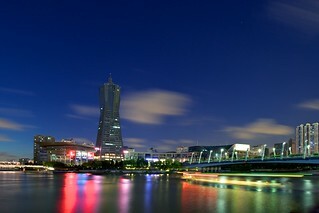 City buses (1-3 RMB) are extensive and convenient, with several “night routes” running 24-hours. Special tourist buses (Y1-Y9 and Y13, and Sightseeing Line 4, 6 and 8 — 3-5 RMB) run between the different points of interest in the city.